In today’s episode, I share two powerful stories with you. I recently reached out to the members of the Fertility Friday Facebook Community and asked if anyone had experienced negative side effects on hormonal contraceptives. The responses were overwhelming, and I decided to invite two of the women who reached out to me to share their stories on the show. 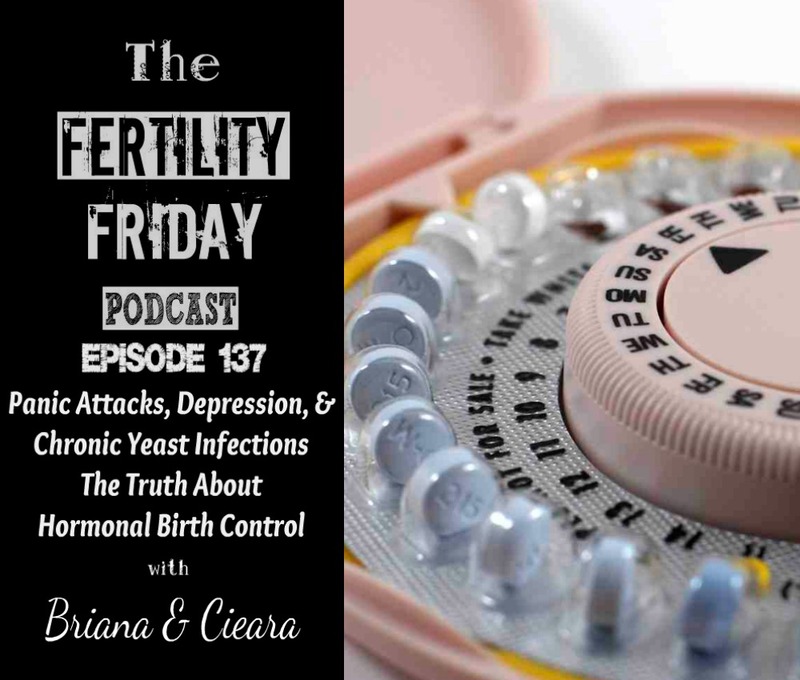 Both Briana and Cieara share their reflections about their time on hormonal birth control and the impact that it had on their moods. Why Cieara didn’t make the connection between the yeast infections and the pill until after she stopped taking it. I’d like to comment on this episode cause as I listen to these women I’m crying. I didn’t go through the same situation but in a way even sadder. I didn’t feel any “obvious” or terrible symptoms during taking birth control for 14 years. So nothing made me research other options and I didn’t have access to any of these “alternative” informations. So what I’m struggling with now is 4 years trying to conceive. 2 failed IUIs and 1 failed IVF. So now my naturopath is trying to help me reverse the negative affects of all these years of “hormonal” suppression with Liver and Candida cleansing and then a future whole body support. So I thank you for talking about all this and making us all feel more normal. And share our frustrations and pains. Hi Bianca, thank you for sharing your comments. I’m so sorry to hear about your challenges since coming off hormonal birth control. I’m glad to hear that you’re working with a functional practitioner who is supporting you through this process. Sending you my very best wishes.